Kurnik is one of the famous Russian dishes which is cooked on the gala dinner is a housewife. 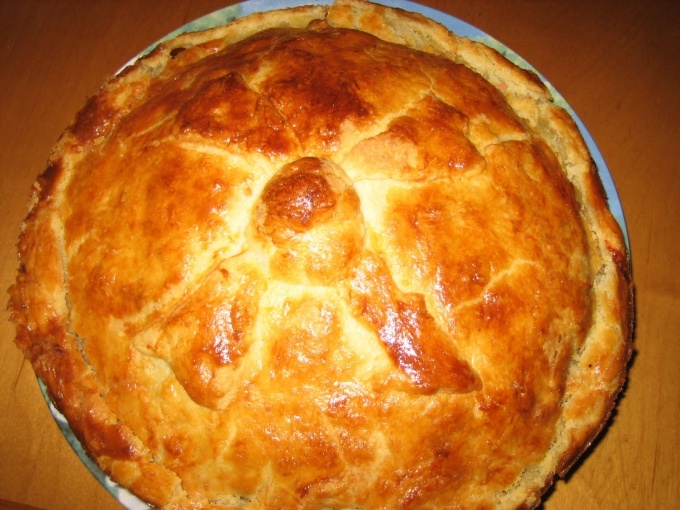 This pie is considered a symbol of family well-being and prosperity. There are many different recipes for this muffin, which have large differences, but are General rules which must be adhered to in the preparation of this cake. Melt in a small saucepan 200 g butter or margarine, then let it cool. While the butter cools, pour 2 cups of buttermilk in another bowl and immediately pour in the egg, add soda on a knife tip, a pinch of salt, one teaspoon of yeast. If you use dried yeast before cooking soak them in 100 g of warm water for 7 minutes. Into the cooled butter, pour the yogurt, stir everything thoroughly and slowly add 2.5-3 cups pre-sifted flour. The dough in the end should be soft and not stick to hands. Put the dough in a bowl. Close the kitchen foil on top and put in a warm place for one hour to reach. Knead unleavened dough. To do this, melt 90 g butter, add 75 g cream, 30 g of sour cream, egg, 15 g sugar, 4 g salt, mix everything thoroughly and then add the mixed 3 g of baking soda 350 g flour. Knead the dough without lumps and incorporate the baking of the pie. 1.5-2 cups of flour sift and mix with one teaspoon of baking powder. Take two eggs and separate the yolks from the whites (whites not needed). Add in the egg yolks, salt on the tip of a knife, half a teaspoon of sugar and mix well. To the yolks add 200 g of softened margarine, stir. Then in the margarine and add egg yolks 200 g sour cream and again mix everything carefully. Gradually add flour, knead the dough and set for 20 minutes in the refrigerator. Chilled dough divide into two parts in the ratio 1:2. Of most of it roll the tortilla and place it in a baking dish, making the dough and forming of dough "plate". 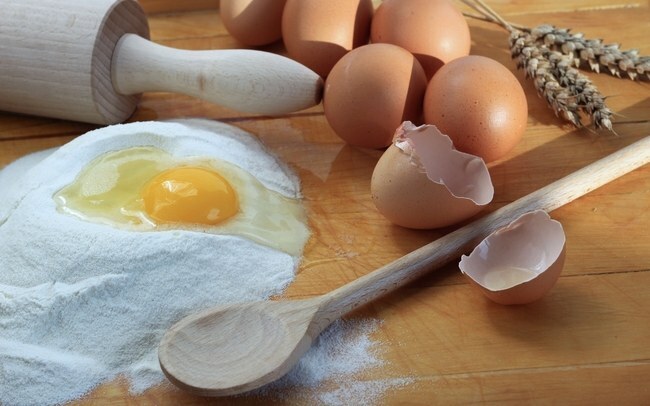 Instead of baking powder you can take a soda, but before you repay it with vinegar and add to yolks.